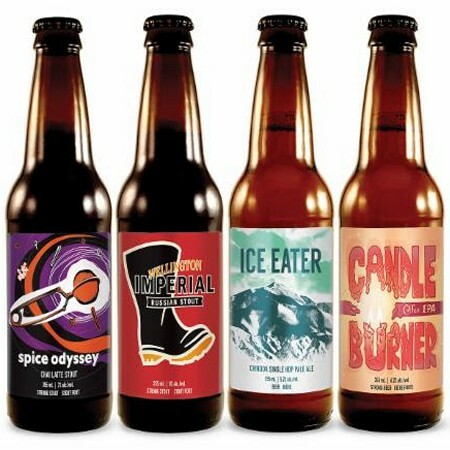 GUELPH, ON – Wellington Brewery has announced the release of a new sampler pack featuring four seasonal ales for autumn/winter. The brewery also notes that in honour of the inclusion of Queen of Craft’s Spice Odyssey, 25 cents from each package sold will be donated to Guelph-Wellington Women In Crisis. The new Welly Re-Booted pack is available now for $10.95 at the Wellington Brewery retail store and online shop, and soon at select LCBO and Beer Store locations across Ontario.